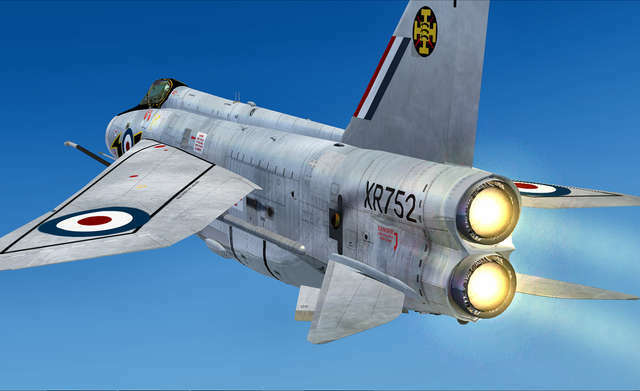 The Just Flight English Electric Lightning F.6 captures all the brutal power and awesome presence of this phenomenal aircraft. 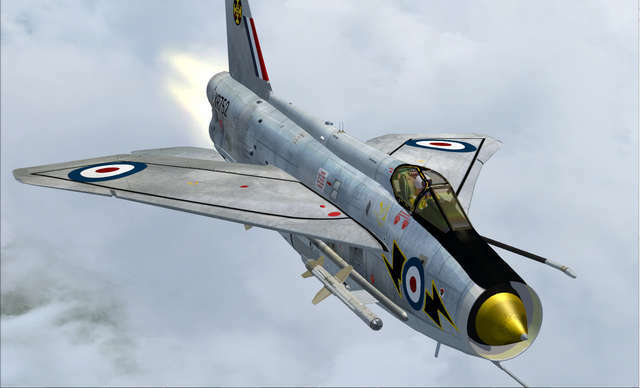 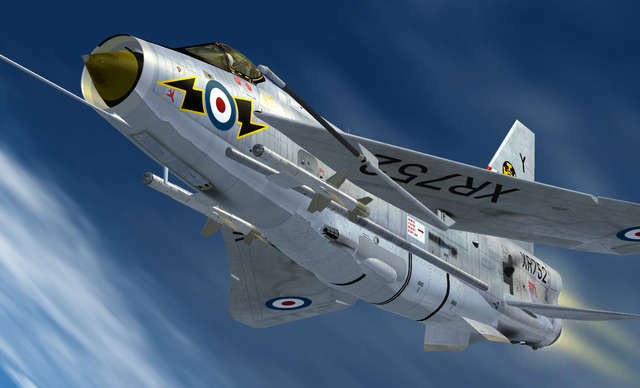 The Mk.6 Lightning was the pinnacle of the breed, giving you the chance to recapture something of the mixture of elation and sheer terror that faced the Lightning pilot of the 60s and 70s! 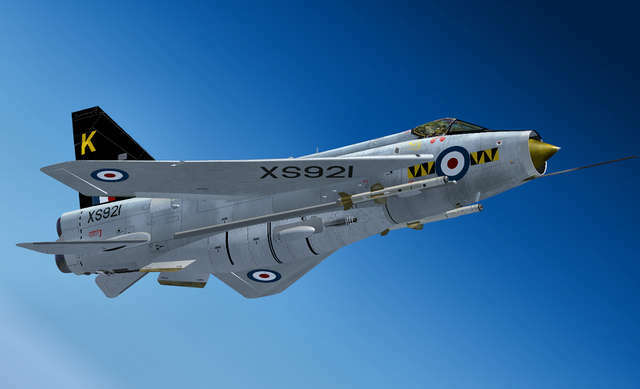 The first and last purely British-built supersonic Fighter and Interceptor, this hugely powerful aircraft was a potent symbol of the Cold War and was designed to be on high readiness to launch at a few minutes’ notice. 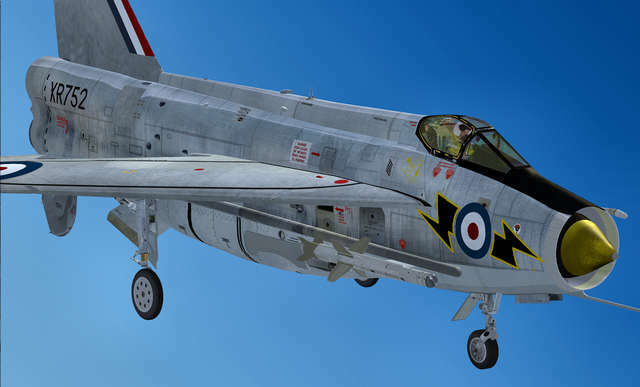 A total of seven high definition liveries are included, featuring plenty of polished, heat-scorched and rivet-filled metal surfaces! 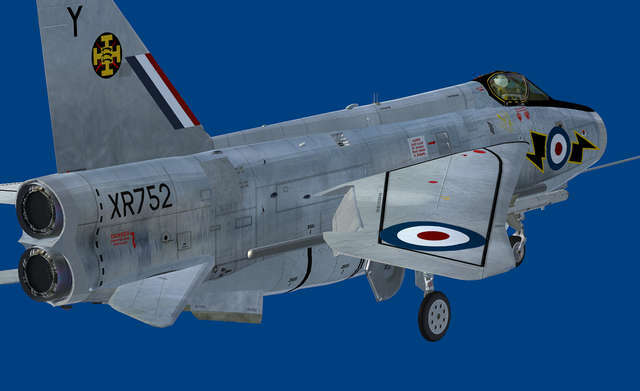 This demo features English Electric Lightning F6B in the markings of XS895 H 74 Sqn RAF. 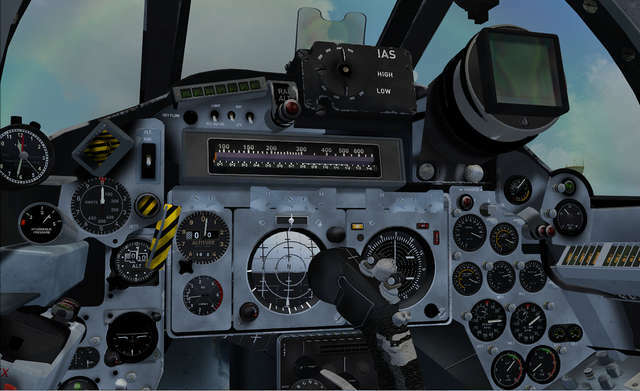 All avionics and control surfaces are fully working and no graphical spoilers have been added when used on the ground and during takeoff. 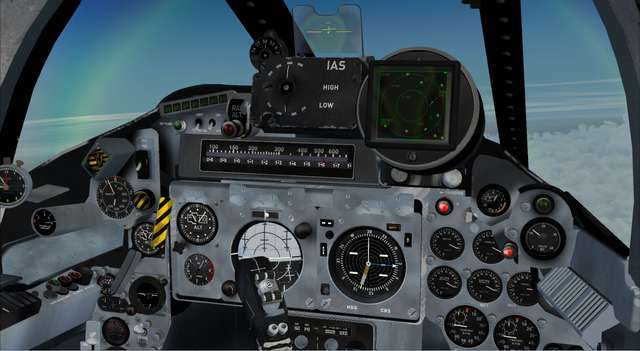 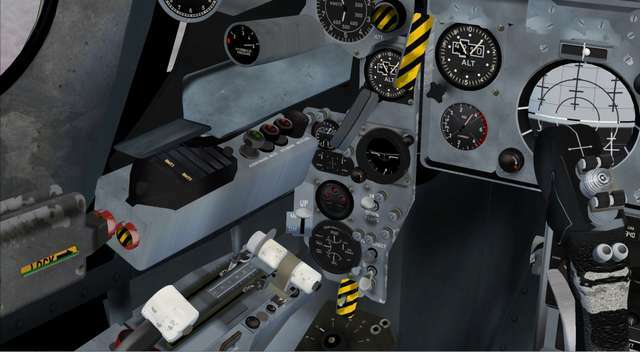 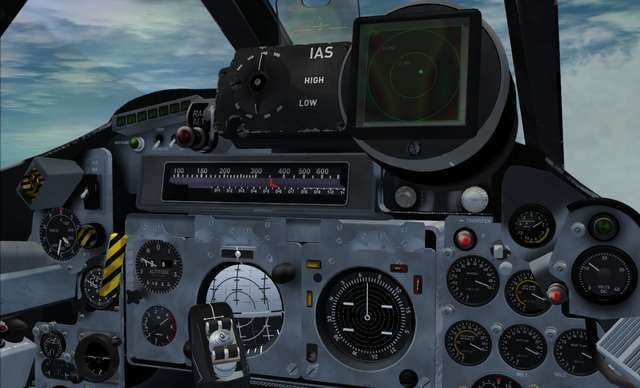 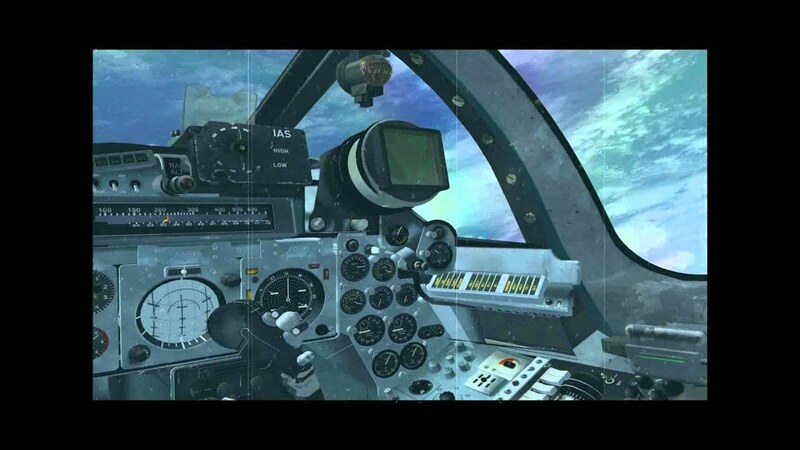 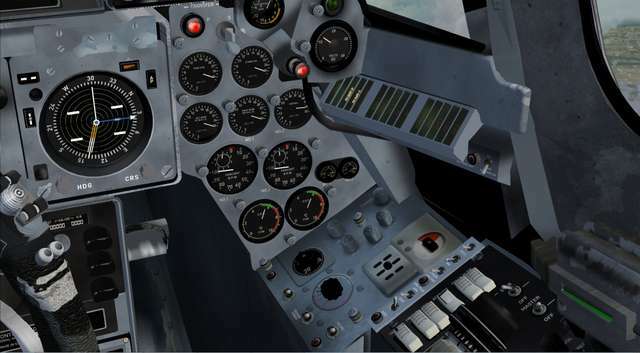 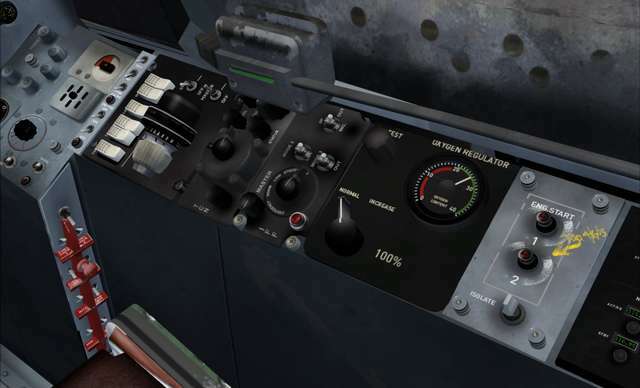 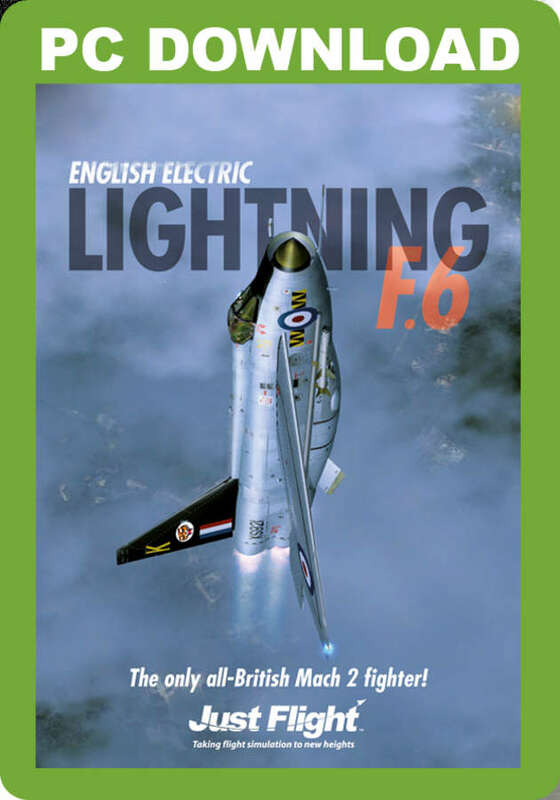 The only limitation in this evaluation version of the English Electric Lightning is that the model and cockpit will become unusable once you reach 1000ft. 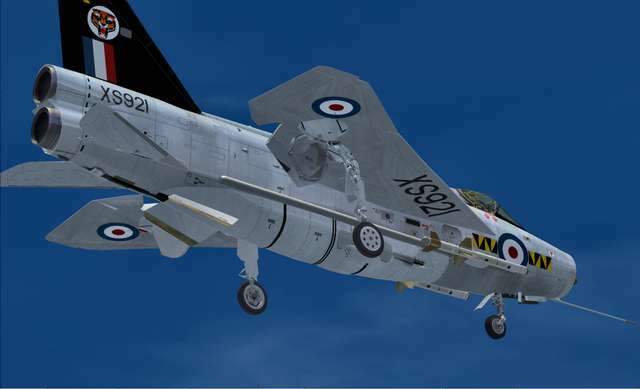 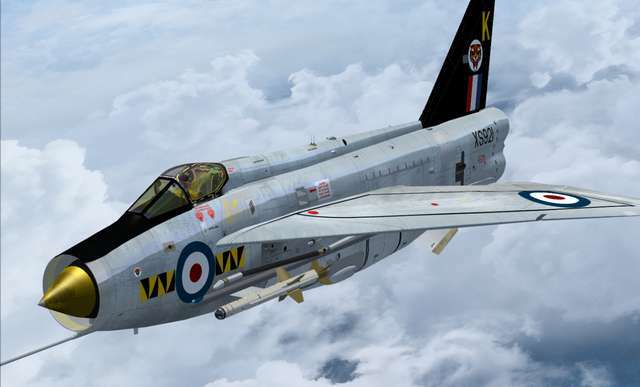 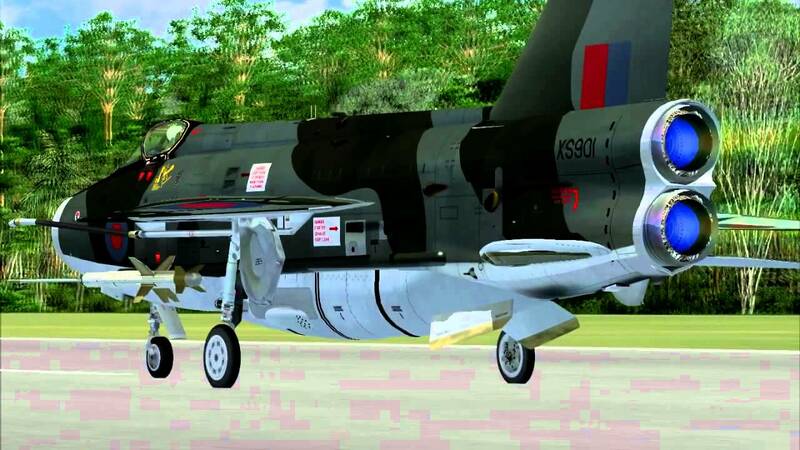 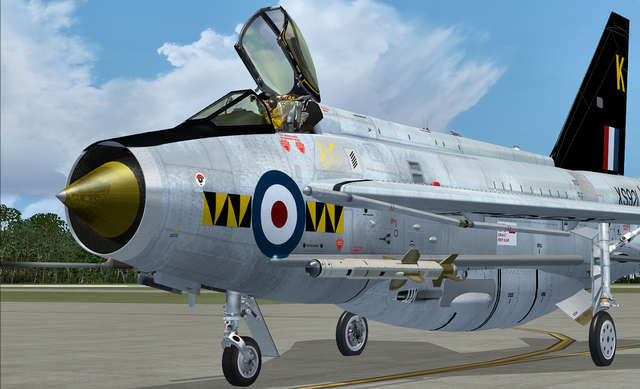 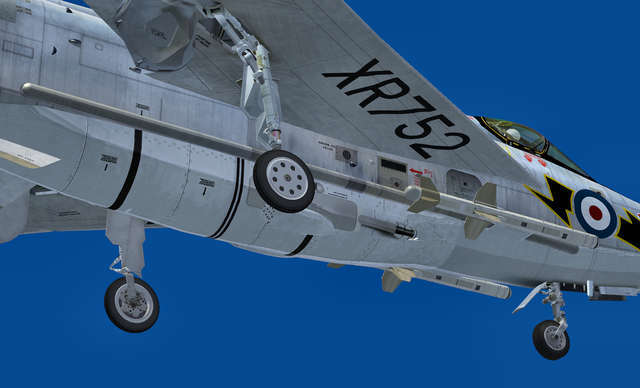 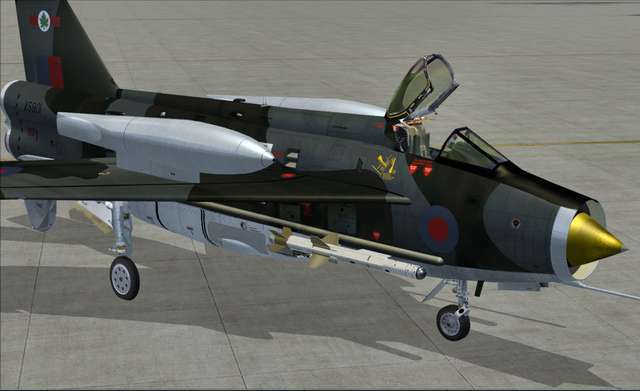 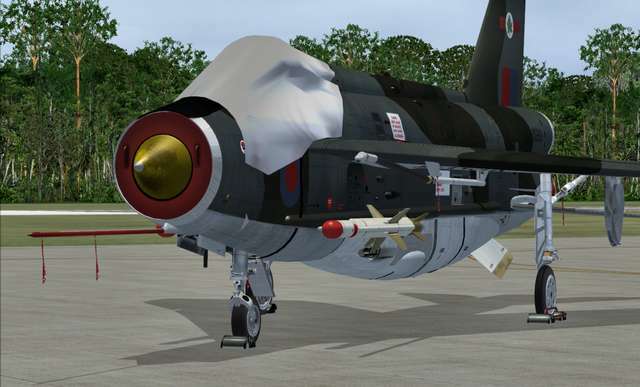 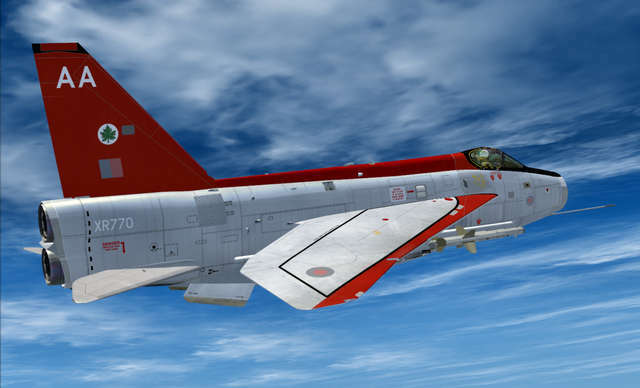 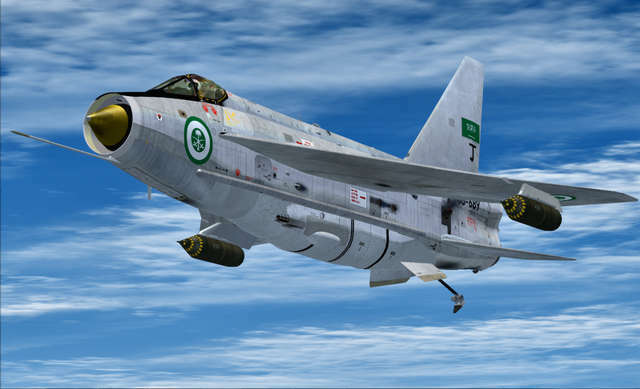 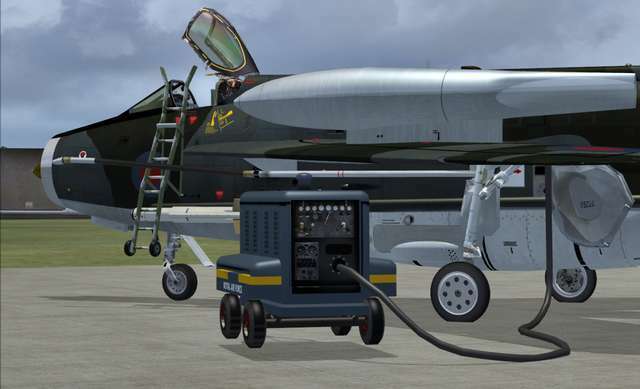 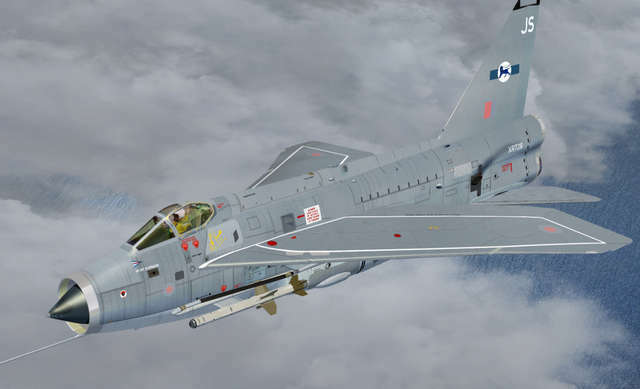 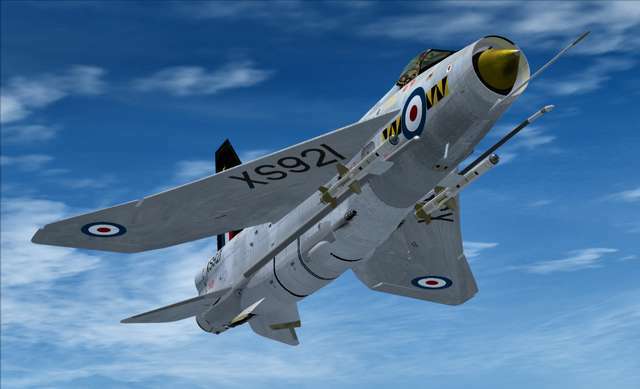 The ferociously fast and much missed Lightning comes to FSX in this awesome package developed by Aeroplane Heaven. 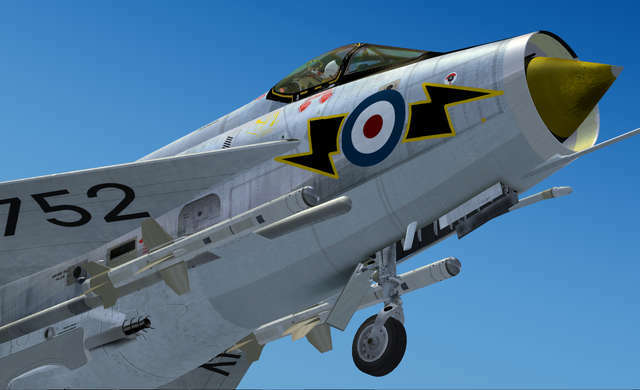 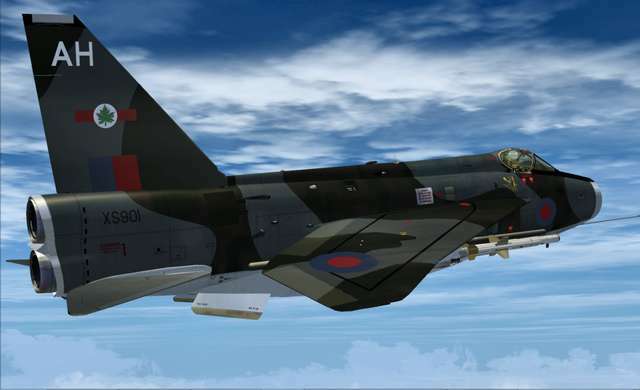 Get the only all-British Mach 2 fighter in seven RAF liveries along with an export F.53 variant, all featuring numerous accurately animated moving parts, an amazing stereo sound set and detailed virtual cockpits with functional annunciator banks for all major engine systems and an accurate fuel tank gauge array.